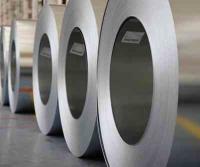 The initial public offer of Rashtriya Ispat Nigam (RINL) has been deferred for the third time as the Steel Ministry and merchant bankers could not arrive at a consensus on price band. "The issue has been deferred," RINL chairman and managing director A P Choudhary told PTI. He did not divulge reasons for deferment of the initial public offer (IPO) which was to hit markets on October 16. Incidentally, RINL issue was supposed to begin the disinvestment process this year through which the government was aiming to garner Rs 30,000 crore (Rs 300 billion). Sources close to the development said the Steel Ministry was unwilling to sell shares at lower than the present book value of Rs 22.50 a share. Merchant bankers UBS Securities and Deutsche Equities (India) have proposed Rs 15-17 as the price band. Differences emerged in yesterday's meeting of the high level committee which was supposed to suggest the price band. Subsequently, the matter was referred to the EGoM to fix the price. Sources said the Empowered Group of Ministers, headed by Finance Minister P Chidambaram, did not meet on Tuesday. apiece to ensure smooth sailing. "On the other hand, the Steel Ministry was not willing to sell shares of the company below the book value as a result of which no consensus could be reached at. This led to the postponement of the EGoM as well as the debut of the issue in the markets," a source said. The government plans to sell 10 per cent of its stake. The issue was previously deferred twice since the filing of the draft prospectus with market regulator Sebi on May 18 due to reasons as varied as volatile market conditions and fire at the company's Vizag steel-making facility. RINL is the second largest state-owned steel maker in the country producing three million tonnes per annum (mtpa) at its lone facility at Visakhapatnam. The capacity is being raised to 6.3 mtpa in the current fiscal. The company has to bring out IPO before November to retain its Navratna status. RINL got the status in November, 2010, subject to its getting listed in two years from the date of acquiring the status. The Cabinet Committee on Economic Affairs in January had approved disinvestment of 10 per cent of government's stake in the firm.